by Oliver McManus: Speaking to Josh Adewale, it was hard not to get more and more excited about the potential that the young man has – a 23 year old packed with maturity and that’s evident from his style of fighting, an easy-on-the-eye guy with explosivity in both his feet and hands. Having started in the game a mere seven years ago it’s been a steep learning curve for the Slough-man and whilst there’s plenty for the prodigious middleweight to learn, his ability has seen him reach the quarter-finals of the Senior ABAs as well as down the Matchroom gym sparring with the likes of Felix Cash. Adewale’s self-proclaimed “secrets to success” are the four cornerstones of Ambition, Determination, Hardwork and Vision and perhaps the most influential moment in his young life so far could be a chance encounter with Paddy Fitzpatrick whilst spending a short while in prison, with Fitzpatrick running boxing classes and helping Adewale to hone his trade. With just weeks to go until his professional debut there’s plenty of reason to be pumped for this dynamite boxer and every expectation that he’s set to explode onto the scene. Let’s kick off with how you actually got into boxing. What’s the story? It all started when I was in Year 11 and was part of the rugby team in my secondary school. I enjoyed physical sports but it got to a point where I wanted the winning to be dependent on my performance and not having to rely on others. At about 16 I first walked into a boxing gym, I had my first 2 fight at 17 winning them both. I’ve now had 29 fights and I’ve not looked back ever since. You were unfortunately hit by a car causing a lengthy absence, how hard is it to remain motivated when everything seems like it is going wrong? That incident occurred around 12 months ago, and it was a hard time as I put on about 12 kg and let myself go. Staying motivated wasn’t easy, but when I got the buzz back I crammed 4 fights in 5 weeks, winning them all. But all that bundled together, how do you think this will help you adjust to the ups and downs of professional boxing? It gives me more experience, I’ve learnt to take the rough with the smooth. Sparring wise I believe you’ve been working with some of the Matchroom guys, the likes of Felix Cash, what can you learn from these sort of experiences? I’ve learnt a lot from sparring top professionals like Felix Cash etc, the experience has been priceless and it’s always a good learning experience. You’re turning pro next month, how are you feeling about that? Just buzzing to get it out of the way with? I’m definitely feeling excited to put all of the years of hard work, and what I’ve learnt to the test. I’ll make sure I put on an amazing performance. Quarter Finals at the Senior ABA’s, what confidence does that give you then going into that debut? I’ve boxed at a high level for a while, whether it be sparring or competing at elite level. 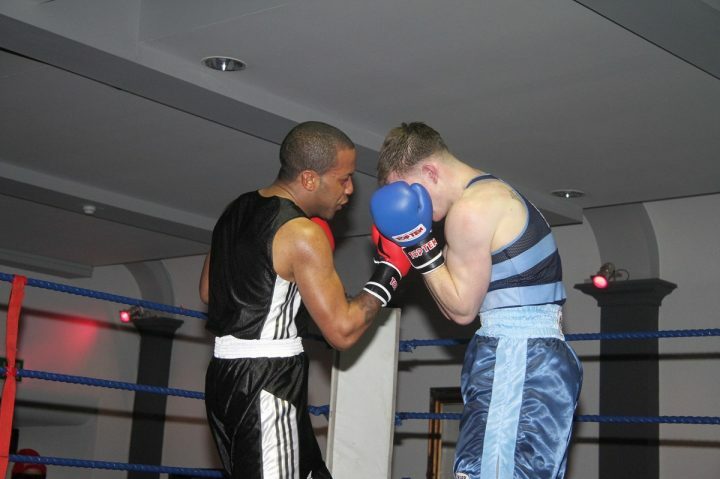 But it was still good to have entered the senior ABA’s. Obviously you boxed at middleweight in the amateur ranks, what weight are you looking at getting into for the pro ranks? We’ll just see how it goes, but it’ll either be super welterweight (light middleweight) or middle weight. I hear rumors of involvement with MTK, you don’t have to say anything, but is there any truth in that? Yes, I have spoken to MTK but I’ve also spoken to several other promoters/managers. How often can we expect to see you out in the ring this season? As many times as possible, I love to fight! And when we’re talking about statements, are you trying to make anything big or are you just looking to do your thing and get the job done?